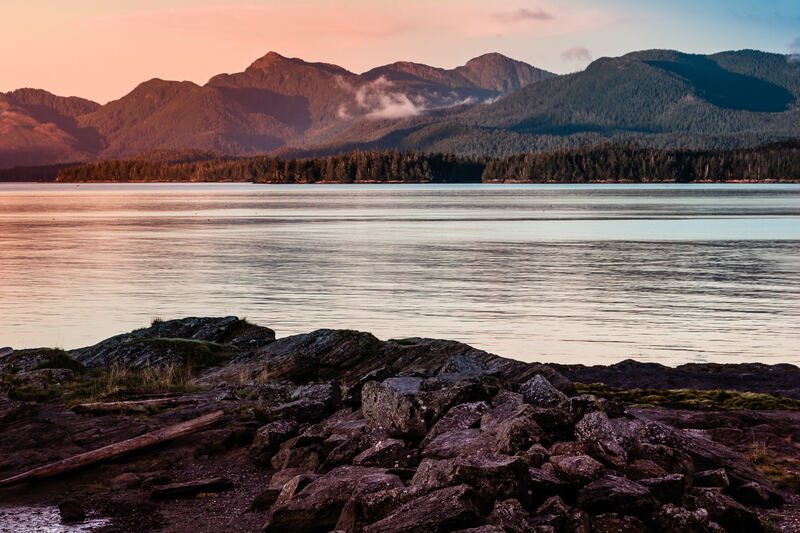 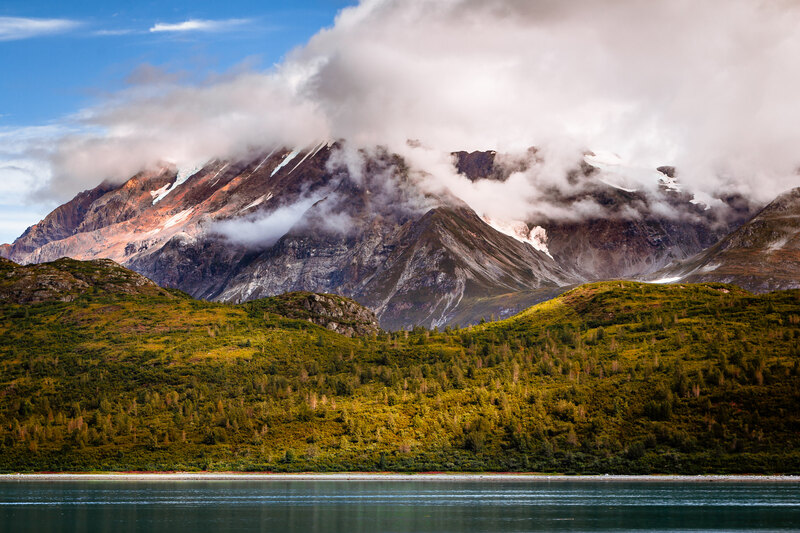 A mountain rises into the clouds at Glacier Bay National Park, Alaska. 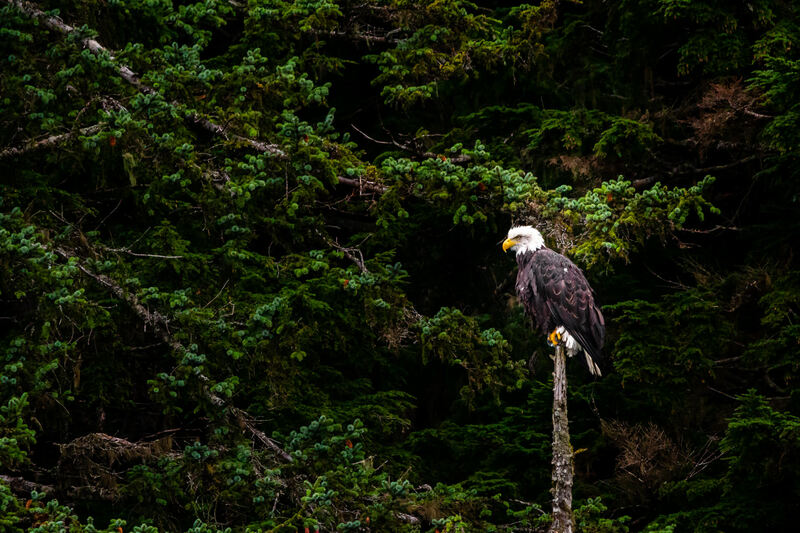 A bald eagle perches on a branch in a forest near Juneau, Alaska. 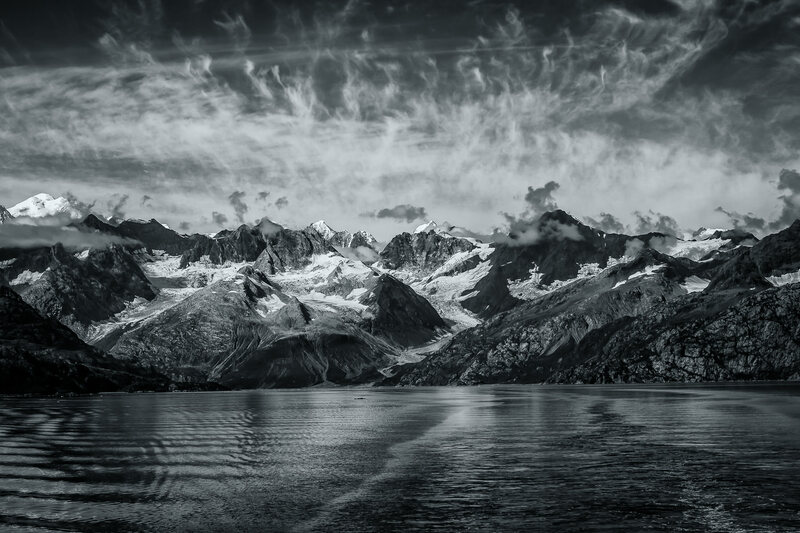 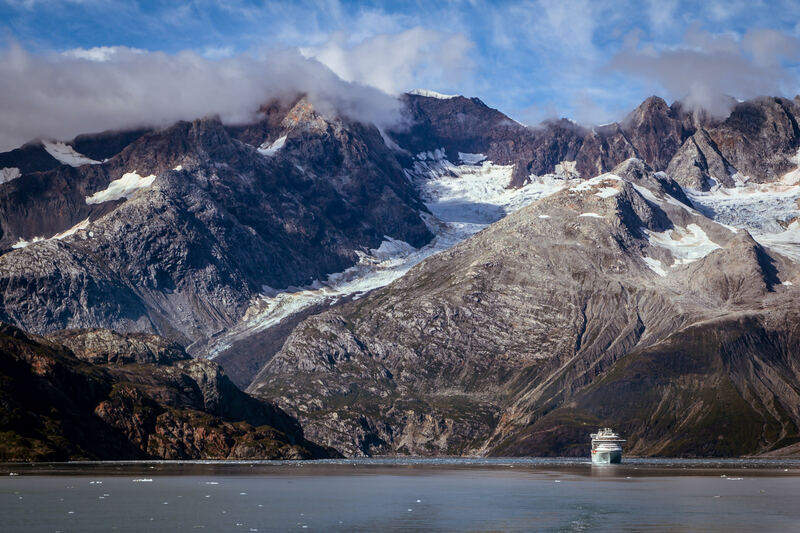 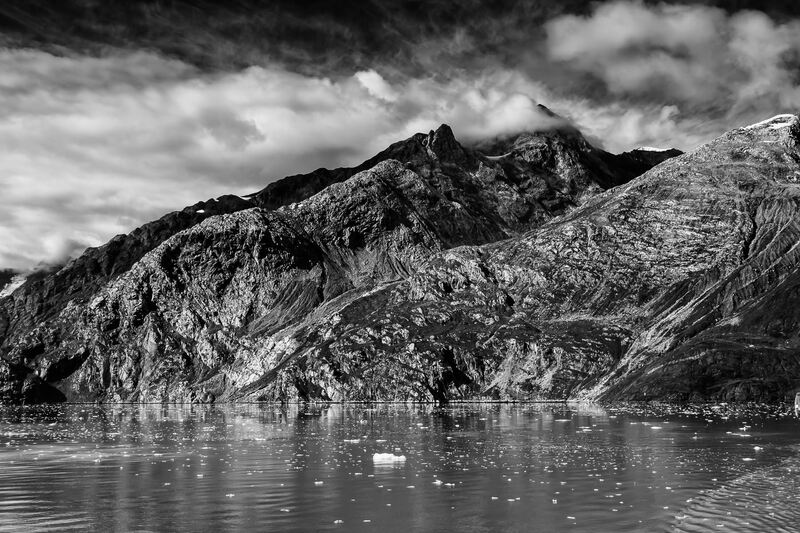 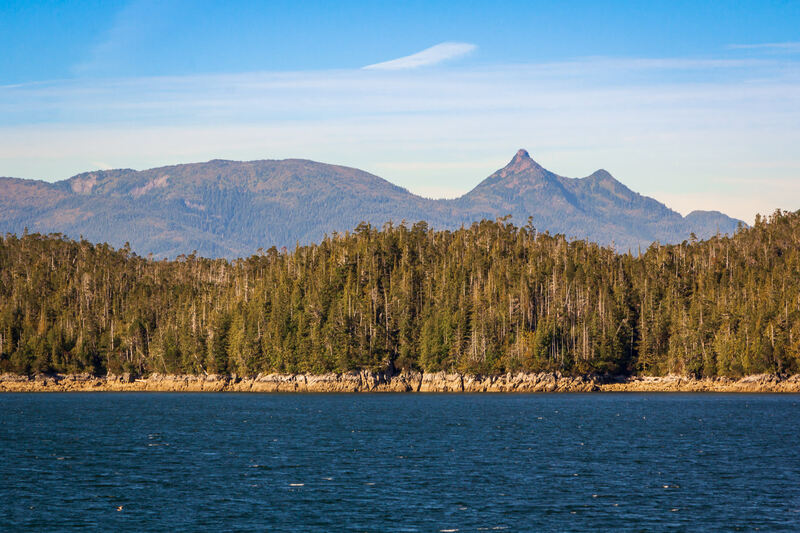 Rugged mountains along the shore of Alaska’s Glacier Bay reach into the clouds. 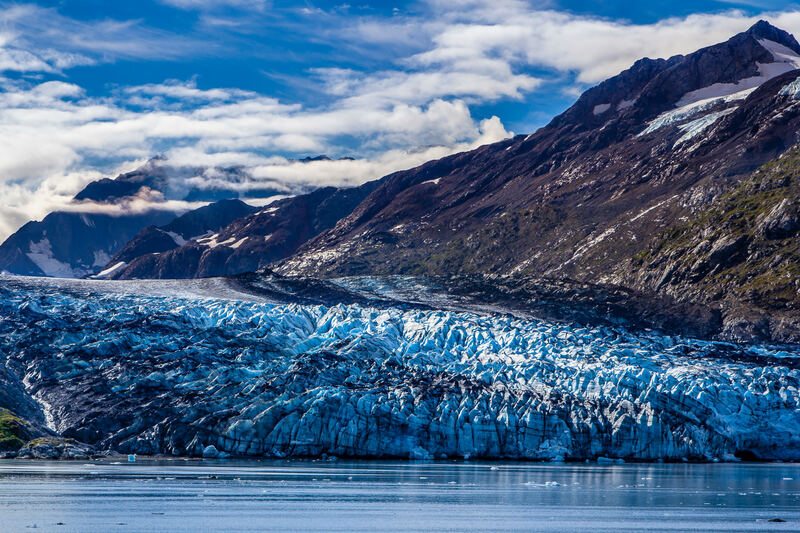 The blue ice of Lamplugh Glacier hugs the coastline of Alaska’s Glacier Bay.